In this episode, host Ryan Jacobsen embarks on a “peachy” adventure. First stop is Chandler Farms in Parlier, California where grower and fourth generation Valley resident, John Chandler, takes us on a bountiful journey though his family’s ready-to-pick orchards. 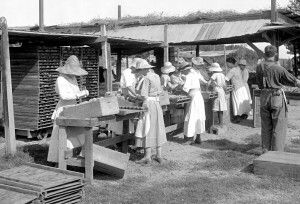 Then, we step back in time through the lens of Pop Laval to learn about the roots of the peach industry and how this tasty, yet fragile fruit was grown, dried and shipped across the nation a century ago. Next stop is Liz Hudson’s Fruit Stand in Sanger, California where an enthusiastic busload of tourists from Australia experience our region’s bounty firsthand and Liz tempts Ryan with some succulent homemade cobbler. Then we head behind-the-scenes at one of the most prolific processors in our area, Wawona Frozen Foods in Clovis, California. Watch what it takes to get the fruit from the tree to your freezer with owner Bill Smittcamp. ]There are few parts of Valley life that so beautifully illustrate new beginnings and provide such personal enjoyment and healthful benefits as do the many deciduous fruit trees that thrive on our fertile plains. From spring’s blossoms and summer’s fruitful ripeness, the San Joaquin Valley produces luscious peaches, plums, nectarines, apricots, apples, pears, cherries, kiwi and pomegranates. 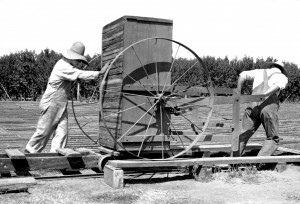 While the region’s fresh fruit is marketed and enjoyed nationwide, the industry still supports canning, the primary means of preserving and distributing fruit since orchard crops became prevalent in the late 1880s. Fresno County was a pioneer in peach-drying techniques, critical to the industry prior to the advent of widespread refrigeration and cold storage. Women packing peaches under the hot summer sun – notice the high heels! 1. Peach is good for digestion and it has a diuretic effect – you can eat these fruits to cleanse your kidneys and bladder. 2. It has a natural soothing effect: peach can even help to calm a sour stomach. 3. It is an ideal snack between meals – eating a peach can give you the feeling of being full, so you will eat less; great for losing weight (one peach contains about 35-50 calories and not fat at all). 4. Contains many vitamins (A/B/C), magnesium, phosphorus, calcium and potassium: so it is not only good for the digestive system, but for the well-being of muscles, the heart and bones, too. 5. Because of the above mentioned A and C vitamins in this fruit, it is a great moisturizer and a natural cure for refreshing the skin; therefore it is often used in cosmetics. 6. Peach can even have a positive effect on our scalp and it is able to reduce hair loss. 7. It is a good stress-reliever, helps to reduce anxiety – it is often referred to as the ‘Fruit of Calmness’ in Hungary. 8. Peaches and almonds are related! 9. According to research peach has a positive effect in preventing cancer (as it contains selenium). 10. In Roman times, people thought peach originated from Persia – its scientific latin name also reflects this: ‘Prunus persica ’. Peaches were often called as ‘Persian Apples ’. 11. In fact this fruit originates from China and they were introduced to the West through Persia. 12. In China this fruit is a symbol of good luck, protection and longevity. 13. This fruit is a member of the Rosaceae family and is a close relative of almonds. 14. August is the National Peach Month in the USA since 1982. 15. The peach tree is often considered to be the tree of life. 16. Colombus brought several peach trees to America on his second and third voyages. 17. 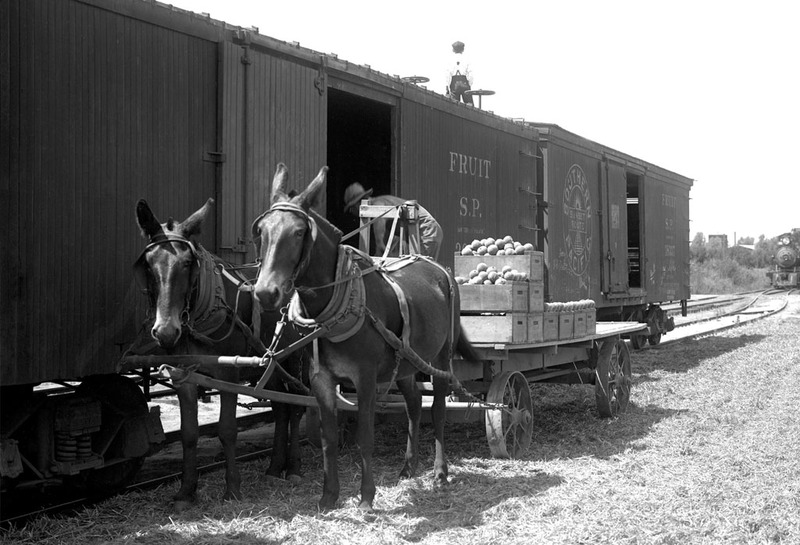 The first peach orchard in the USA was established in Florida in 1565. 18. Georgia is also known as the Peach State, as there are many orchards, although California produces about 50% of all peaches in the USA. 19. On the world, China is the biggest producer of peaches and Italy is the second. 20. Although the peach pit contains hydrocyanic acid which is a poisonous substance in a bigger amount, an adult is safe to eat 1-2 seeds acquired from the pits of the peaches they ate before (100g a day is considered to be dangerous and one peach seed weights about 10g). But as it does not taste too good, barely any people eat these. More info here.